Crude oil pricing is often what influences heating oil prices the most. When looking at heating oil prices from the 2004-‘05 winter to the winter of 2013-‘14, crude oil represented 58% of the cost of each gallon of home heating oil. Distribution and marketing followed at 26% of the cost, and refining costs and profits accounted for the final 16%. Crude oil is a global commodity, so what drives crude oil prices tends to be large events or supplies that are large enough to be cost-effective when sent anywhere in the world. The crude oil market is very dynamic, and many forces compete to drive its cost up and down. Current supply and output. Until recent years, Organization of Petroleum Exporting Countries (OPEC) often set supply through a quota system. However, American shale oil production doubled between 2011 and 2014, driving down the price. OPEC’s response has been to increase supply and drive down the cost per barrel, which is cutting into the affordability of U.S. shale production. All of this means you’re likely going to see lower home heating oil prices relative to the late 2000s. Future supply and reserves. Large oil-producing and oil-consuming countries tend to have reserves of crude oil to keep their economies going in the event that oil prices spike. Oil is stockpiled when the price is low and then spread through the economy to keep prices down when the resource becomes scarce. The U.S. has its Strategic Petroleum Reserve that can be tapped easily, while oil-related allies such as Saudi Arabia also have large reserves that can be tapped. Demand from major countries. The price of crude oil jumps when there is a larger demand, and that tends to happen at the beginning, middle and end of the year. Winter — covering the beginning and end of years — can see oil prices climbing as consumers demand more oil for heating their homes and businesses. Summer will also drive up oil prices as more Americans take to the roads for vacation. Political events and crises. War, natural disasters, political upheaval and new government leaders are all factors influencing crude oil pricing. For example, the “Arab Spring” unrest in 2011 pushed oil prices to a peak of $113 a barrel as unrest and protests rocked Egypt, Libya and Tunisia. They then returned to under $100 per barrel as things calmed down in June. Hurricane Katrina caused a large price increase in 2005 when it destroyed hundreds of oil and gas platforms and pipelines. This winter, some are predicting costs to stay low. In August, heating oil prices for Massachusetts were down more than $1 per gallon compared to the year before, a price decrease of more than 30%. Improved U.S. oil production numbers and a decline in global demand are believed to be the biggest culprits behind this price decrease. One of the most consistent factors influencing the cost of your heating oil is the weather. In the U.S., prices are typically driven by homes in the Northeast, so they can be a good barometer for your oil pricing. When the winter is warm, the price of heating oil holds near its price during the rest of the year. The colder the weather, the higher you can typically expect heating oil prices to rise. The colder weather of the 2014 winter season caused a significant increase in consumer use of heating oil, pushing prices up roughly 7 cents. When a large storm hits, it usually brings lower temperatures and increases the heating demand of each home. Storms also make it harder to get heating oil to your home. When roads are blocked, trees fall or large snows make it difficult for trucks to move throughout your neighborhood and city, heating oil companies need to spend more money on the equipment and talent required to get heating oil to your home. Sometimes this also means home heating oil suppliers can risk running out, and that’s one of the toughest factors that affect oil prices. If suppliers can’t meet all of the demand in your area, then prices will rise and your company may need to start bidding higher to get the heating oil you need. The U.S. Energy Information Administration notes that the Northeast U.S. will often have to turn to the Gulf Coast or Europe if it faces a heating oil shortage. Delivery from these sources can take weeks and will have to travel across harsh regions, increasing the cost compared to shipments earlier in the year. “During that time, storage inventories drop further, buyers' anxiety about available short term supply rises, and then prices rise—sometimes sharply—until new supply arrives,” says the EIA. Your next-door neighbors and local cities can also play a role in the cost you’ll pay for your home heating oil. 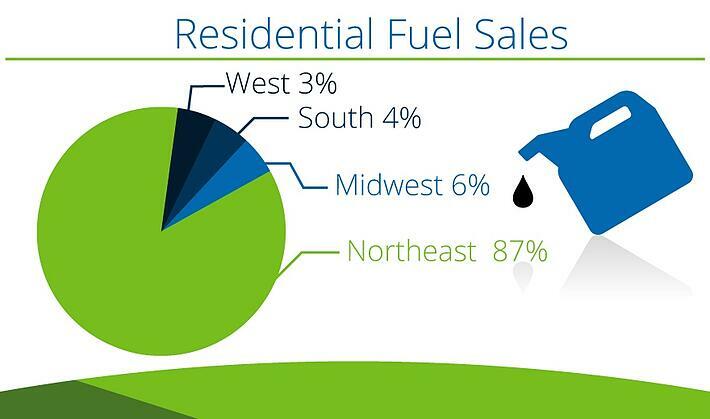 In the U.S., the Northeast accounts for roughly 87% of all residential fuel oil sales, and that is expected to stay relatively stable because most new homes are turning to natural gas and electricity for their heating systems. The Midwest is the second-largest area but it only accounts for 6% of all sales, followed by the South at 4% and the West at 3%. Heating oil is a commodity, so it has many pricing factors affecting demand and supply of oil. Some of the biggest considerations for you include the number of dealers and suppliers that you have access to, plus how easy it is for companies to get to you. The easier it is for you to access heating oil from multiple companies, the more they’ll need to compete on price to win your business. On the other hand, if you live in an area only serviced by one supplier or if your home is especially hard to get to, you can expect to pay more than the national average for your heating oil. How close you live to a refinery or a fuel staging and supply area, such as the New York Harbor, influences what heating oil prices are. Here in the U.S., you should look at refineries both foreign and domestic. Many homes in the Northeast are close to refineries and supply depots in Canada and have quick access to pipelines, rail lines and roads used by oil production companies. Refineries in the Gulf Coast also supply a large set of heating oil when it is in demand. Refiners face some limitations based on size and storage capabilities, which means a local outfit might not be able to keep up with your needs throughout the year. When refineries create heating oil, they also create other petroleum-based products. Each company will balance its production based on its ability to sell all of those products, not just the heating oil, and some products experience demand drops in the winter. It’s not just how close you are to any refinery, but how close you are to a refinery that can actively produce and sell heating oil plus its other products. And the last factor for where you live is actually the homes in your neighborhood. Newer houses and those in more expensive neighborhoods may be more energy efficient homes with new, better insulation. These advances can drive down local demand in heat oil. Some projections show a 20% decline in homes using heating oil from 2006 to 2013, and further 3% decline by the end of 2014. Energy-efficient upgrades to homes and appliances are thought to be the main cause for this decline. If oil demand is expected to decline due to a new policy, your costs may increase as refineries cut production. However, if the changes occur during warmer months, you might see a price decrease as refineries have a larger surplus than in previous years. The EIA notes concerns over health and environmental issues have caused governments to increase the safety requirements of operations. Plants will need to increase their investments in cleaner products and lighter materials. Many of the improvements focus on removing sulfur and nitrogen oxide emissions plus heavy metals. The agency expects this to increase costs down the road, especially if overall demand for heating oil declines. Overall production and environmental requirements help to determine what oil prices are and push them up with scrubbers and combustion technologies. Some improvements will also take place in your home when you use systems such as an above-ground home heating oil platform. Regulations often focus on safety and increasing leak preventions. Oil safety valves and improvements in burners can change your demand and capacity for storing heating oil, both of which many influence the overall price you pay during an entire heating oil season. The push for alternative energy solutions has expanded into the heating space as well. Heating oil is now just one of many heating fuel options for consumers. 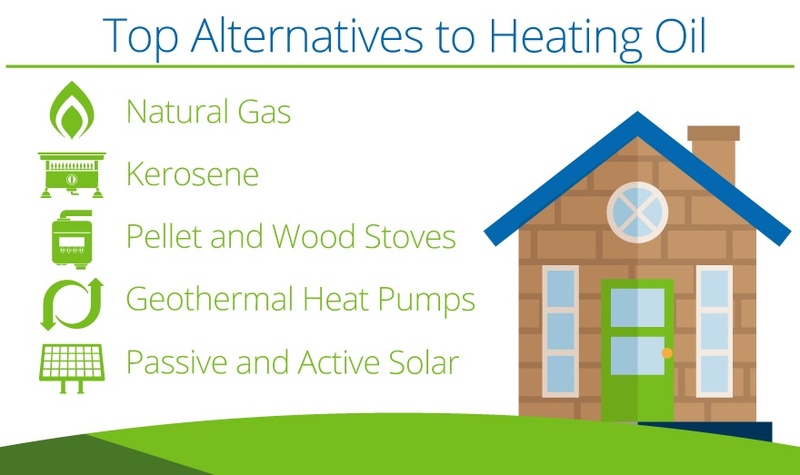 Alternatives have a variety of limitations and benefits based on home size, heating needs and affordability. When alternative heating fuels see their costs rise, many homes switch over to heating oil and increase national demand. This fluctuating demand influences what heating oil prices are and often push them upwards in the winter. Supply shortages, industrial accidents, and many other events that impact the cost of an alternative may drive up your heating costs. Many homes are now adjusting their setup to include access to these heating options. Choosing a supplement to your home heating oil may give you a better price break during the winter thanks to flexibility to choose lower prices. However, know that when you make the switch, others will follow, and that keeps this as one of the top five factors affecting oil prices. Heating oil sometimes experiences a temporary surge in price when many different factors change all at once or when common price factors take sudden turns. Rapid temperature changes, such as early snows or large storms, are a common reason for a surge in heating oil pricing at the beginning of the winter season. Demand increases ahead of the supply, so companies scramble to get oil out to all of their customers as trucks and trains slowly cross frozen delivery areas. Prices may surge high and then continue to rise over the following weeks as smaller companies run out of their supply and end up paying more for refineries and distributors to deliver to their company first. Wholesale buyers are among the first to increase their bids when shortfalls are projected, and that increase is passed through the entire chain until it reaches homeowners like you. Moving into the winter during times of political unrest and war in oil-producing countries can cause uncertainty for refineries and other production systems, which means companies may increase the cost of heating oil in expectation that shortages will happen soon. The big thing for consumers to watch each winter is what OPEC plans to do next. OPEC plays a significant role in keeping costs low or high by managing their production quotas. While shale oil production has removed much of OPEC’s power above certain price points, shifts in its trade practices always have a potential to scare the market and increase prices in a short time span. In general, heating oil prices fluctuate a small amount and make slow changes, but severe weather and supply shortages can always cause large, quick adjustments in what you’ll end up paying next week. Now that you’ve got a handle on the top five factors affecting oil prices, it’s time to see what it means for your home. Selecting a local partner such as Smart Touch Energy can help you learn what to expect this winter and even save you up to $0.40 per gallon compared to EIA average pricing. Contact Smart Touch Energy today to get a great estimate on the heating costs in your ZIP code. Get your quote and learn the price you’ll pay without any sign-up costs, hidden fees or surprises.